On behalf of Admin of JML Law, A Professional Law Corporation posted in Truck Accident on Wednesday, Jul 11 2018. Getting into an accident is extremely scary. It happens unexpectedly and can truly terrify you. Accidents are even worse when they involve commercial trucks. In this case, your injuries may be more severe and long term. The responsibility and who caused the accident may be extremely complicated. There are more players in this type of accident than in a regular car accident. People who may be involved in the lawsuit may vary from the driver, the owner of the truck, or the manufacturer of the truck or of parts of the truck. It’s important to know the laws put in place for truck drivers and their companies as who may be liable for the accident and who you may have grounds to sue. The trucking industry is heavily regulated by federal and state laws. These laws are put in place and all drivers of commercial trucks and the companies that use these commercial trucks must follow them. The two main federal agencies that regulate this area are the U.S. Department of Transportation (DOT) and the Federal Motor Carrier Safety Administration (FMCSA). If these companies or the drivers of these companies do not follow the regulations set by these federal agencies, then the drivers themselves as well as the companies which hired them may find themselves in a lawsuit. One of the laws which they must follow is ensuring proper rest of the driver. There “hours of service” meaning how long they can drive without taking a break, is heavily regulated. Another law that they are required to follow is the maximum weight permitted on their commercial truck. For example, a single axle trucks can carry up to 20,000 pounds. If the truck carries more than that, it will be a danger to the driver and others on the road. Another law which must be followed is the quality control of the trucks. Trucks are regulated both in repair and manufacturing. They must meet a certain criteria. For example, there are federal laws on air brake systems in commercial trucks. In this scenario, it can be hard to prove who is liable for the accident. It could be several different people or entities. It could be the driver himself, the person/company that is leasing the truck, the owner of the truck, the manufacturer of the truck or truck parts that may have contributed to the accident, or it may be the loader of the cargo (if the cargo was loaded improperly.) It is true that anyone who owns a trucking permit is responsible for all accidents with their trucks that have their name as a label. For example, if a grocery store truck hits a vehicle, then the grocery store is liable. It’s also important to note that it doesn’t matter if the driver is an independent contractor or an employee of the company. If you get hit by a commercial truck, it is truly a serious matter. You are more than likely to have injuries and these injuries tend to be serviere. It’s scary and stressful to be in an accident because it’s out of your control. You shouldn’t have suffered because of the fault of someone else. You need someone who fights for your rights. 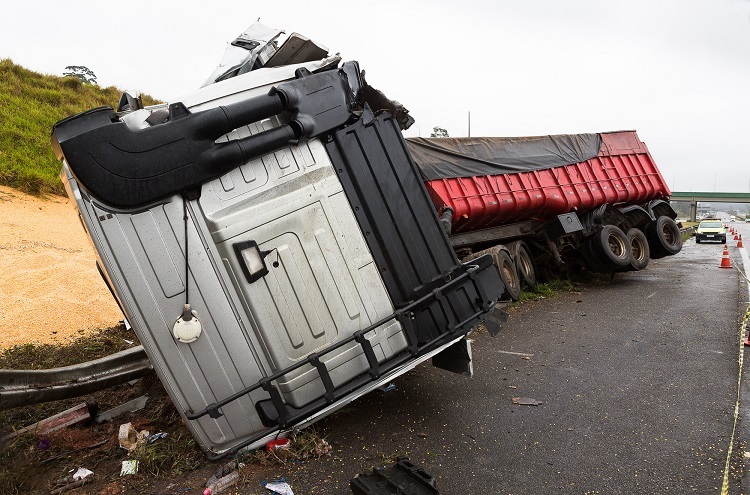 Truck Accident attorney Los Angeles at JML Law, has helped people like you fight for their rights for over 40 years. Call them today for a free consultation at 818-610-8800 or simply use this contact form.